Expert Computer Repairs Made Accessible by Housejoy! Whether it’s a Mac, PC or just our plain old office laptop, it is one of those few electronic gadgets that serve us on a daily basis. For work or play, it is no less a boon to our productivity as it is to our entertainment. But what happens when your laptop needs repair and doesn’t have a warranty? Do you look for ‘the nearest computer repair near me’ and let the fate of your laptop rest in the hands of a novice or do you resort to some research to find a reliable laptop repair service? Needless to say, the struggle is real when you don’t have time to drop off your laptop at the computer repair shop and have to wait for the weekends to get it fixed. Lucky for you, the search and wait ends here. Housejoy at home services gives you all you’ll ever need to save time, energy as well as money. Put an end to all your computer service requirements for good and trust our team of qualified technicians to get your machine working like brand new. So, if you’re in need to clear your system of viruses, require a windows installer or an OS installation, note that there’s no issue we can’t fix. We also extend our services to repairs! Be it Mac repair, laptop motherboard repair, laptop screen repair, computer motherboard repair or even a basic laptop service, with the expertise of our technicians, you’ll have your computer working perfectly in no time. So bid adieu to long waits for laptop repairs because Housejoy not only delivers an excellent job on computer repairs but also picks up your laptop right at your doorstep. All you have to do is book the required service according to your time of convenience and we’ll send over our certified technicians to get the job done. Why place your beloved machines in Housejoy’s care? At Housejoy, our team comprises of both certified technicians and qualified and trained engineers to redeem any laptop in need of saving. At present, Housejoy extends it services to 5 metropolitan cities- Bangalore, Hyderabad, Mumbai, Chennai and Delhi. To avail our online computer repair service, all you have to do is select the service on the Housejoy website, fill up the details and schedule a time and date according to your convenience. Once confirmed, our engineers will come and tend to your laptop woes at your home. Note that all technicians and engineers from Housejoy are background verified to ensure you and your family’s safety. 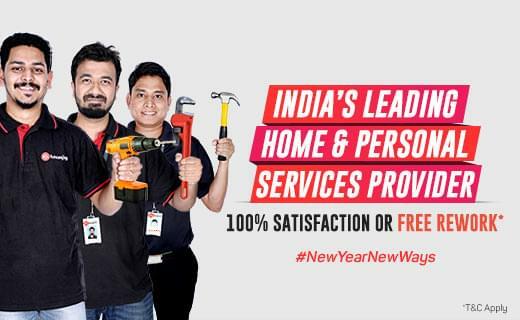 Leaving no stones unturned, Housejoy promises you a 100% satisfaction guarantee or a free rework on all PC repair fixes. To top it off with a cherry, all Housejoy home services are hassle free at cost effective prices.